Recently, CHINT won the project of Centrais Eletricasde Sergipe SA, a Latin American gas plant which founded by Brazil’s EBRASIL and Golar Power. It is the largest and most efficient gas-fired Power plant in Latin America, with a total capacity of 1551MV. Veolia, top three environment solution provider, and the sub-contractor of this project, has strict requirements and high standards in technology, packaging, quality testing, deploying and other aspects. As an experienced company who has cooperated with Veolia in different industries before, CHINT’s professional attitude and strict requirements for the overall details of the projects, lead to the final approval for the CHINT’s industry-customized water treatment system program in the first half of 2016 from Veolia, the international water treatment industry leader. And a global strategic cooperation plan between CHINT and Veolia was signed in the second half of 2016. Under the guidance of the internationalization strategy, CHINT’s subsidiary in Sao Paulo, Brazil, has covered the entire Latin American market , providing products and services of the whole industrial chains including low-voltage distribution, high-voltage transmission and distribution, photovoltaic new energy, residences and constructions and etc. The successful completion of the circular power plant project will make the specialization of CHINT to be more deeply rooted in the hearts of the people and lay the firm foundation for the expansion of the Latin American market. 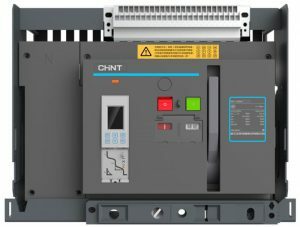 As a world’s leading electrical equipment integrated supplier, CHINT is committed to providing the world with safe, reliable and stable electrical equipment and clean energy solutions. CHINT, Empower the world. 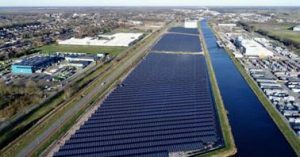 On March 20, a grand ribbon-cutting ceremony of CHINT Veendam photovoltaic power station was held in Groningen Netherlands. The project site was contaminated before it was developed, by virtue of CHINT photovoltaic technology, the unusable land has been transformed into a sustainable economic development area, even though it is no longer suitable for agriculture. The project will offset 240,000 tons of carbon dioxide during its operating life, while it generates enough energy to 4,900 households to power supply each year. Since 2016, CHINT 10-year investment into energy industry equipment technologies to targeted companies has resulted in a vertical integration model that will benefit the overall industry. By formulating a two-prong strategy of ‘low-voltages &photovoltaic new energy’ CHINT can supply value-add to the entire supply chain through its products & technology. As result of the hard working and highly efficient staff for the international power station, the brand recognition of CHINT overseas has been rapidly enhanced. In addition to the Veendam project, CHINT has also completed 160MW PV projects in the Netherland in mature EPC mod Save el. In addition, CHINT won the bid for three Egyptian PV EPC projects in January, with a total of 120MW for the three projects in $147 million.